As 2006 passes, I wanted to take just one more moment to ponder one of the greatest friends God gave to me in my lifetime. 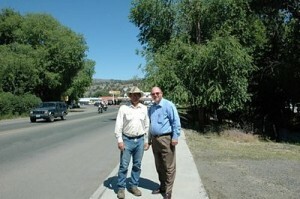 I first met Mark Lawrence when his dad Bill, a member of our church, took me hunting at Mark’s ranch in Oregon. What was meant to be a hunting trip turned out to be a great time of Bible study, late night discussions, and the bonding of two hearts in friendship. Mark and his dear family were like medicine to my soul in the midst of a very busy season in ministry. Over the years, Mark began to spend much of his time here in Lancaster going soulwinning with us and helping to do the work of the ministry. Through time, the Lord began to open doors for him in Oregon, and during the last few years he pastored the First Baptist Church of John Day while operating his ranch at the same time. 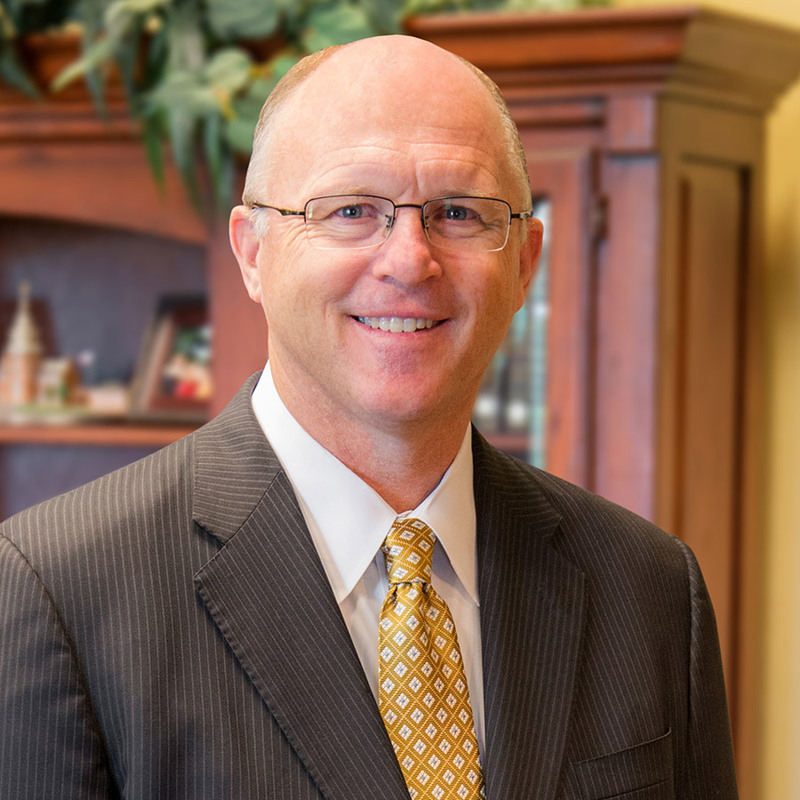 Mark was one of the most faithful soulwinners I have ever met. He rarely met anyone without telling them about the Lord Jesus Christ. He would often come into my office with tears in his eyes, burdened for the lost. This past summer, I joined Mark and his family and Dr. David Gibbs and their family as I had the privilege to perform the wedding ceremony between Mark’s daughter, Janelle, and Dr. Gibbs’ son, JD. What a joyous occasion it was! The ceremony was conducted on the ranch, and it was a thrill to see this young couple, who are students at West Coast Baptist College, join together in holy matrimony. 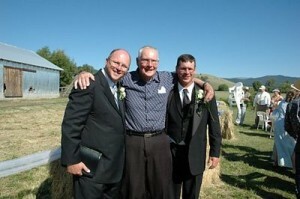 A few days after this wonderful occasion, God called Bro. Mark home. 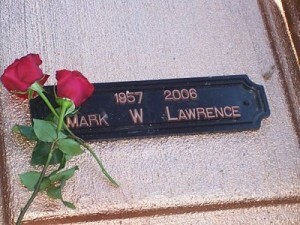 Because Mark had grown up in Lancaster, we conducted a funeral service here at Lancaster Baptist. 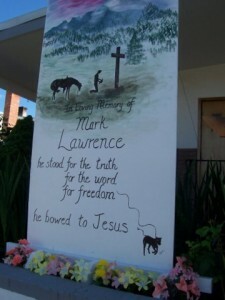 The auditorium was packed with friends and loved ones testifying to the joy and love of Mark Lawrence. Still stunned at the loss, I traveled to Oregon where I preached the funeral service there. Once again, hundreds of people gathered, many in blue jeans and cowboy hats, to remember a great man. Thankfully, several people accepted Christ as their Saviour at that particular service. One of my new year’s resolutions is to be thankful for friends in the ministry and to be a better friend to them myself. Mark had written me dozens of handwritten notes and called me nearly every week simply to say he was praying for me. I miss him, and I look forward to seeing him with our Saviour again.